Hello everyone! 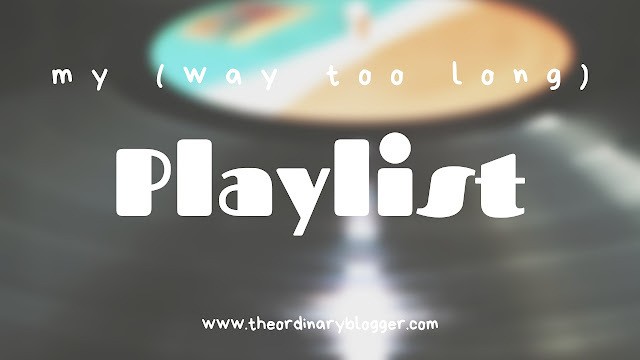 Today I'm just going to be sharing my playlist at the moment. It's mostly like indie/feel-good type music so if you enjoy that, definitely check these songs out! Since there's so many song's I'm just going to say the name and artist because if I talked about each individual song this would be the longest blog post ever! So, without further ado, let's get into it! Sorry that was S U P E R L O N G but I didn't feel like I could leave any of them out. If you have any song suggestions let me know in the comments and as always thank you so so so so so so so so so so so much for reading! OMG! Someone who knows about Easy Life! I found them through a mate of a mate before they blew up on the Fifa 19 soundtrack, and honestly, I love their music to chill out to! I know right! They came up in my recommended and I loved it! I love a good playlist and there's some great songs on here. I saw Sundara Karma last summer and I loved them! Have you heard the 1975's new album? What do you think? I loveeeddd the 1975's new album! I haven't heard of Sam Fender before but thanks for the recommendation, I'll check him out! There are some songs that I heard of, some artists that I heard of, and some songs AND artists I never heard of before. Yet, I love that you put The 1975 because I looooooooooooooooooooooooooooooove them! I actually upload playlists pretty regularly on my site if you'd ever like to be featured! I love some of the songs on here and just discovered some new favs! I'd love that! I'm so glad you enjoyed!